Out of the blue, I decided to read The City of Bones. About a year or two ago I remember picking up this book and wondering if I should read it but some other book caught my eye that day at the bookstore and ever since then, I had not given it another glance until a few months ago. I started hearing about TMI (The Mortal Instruments) left and right because the film adaptation of the book is coming out soon. I decided to read the book in order to see if the movie might be “worth” seeing. 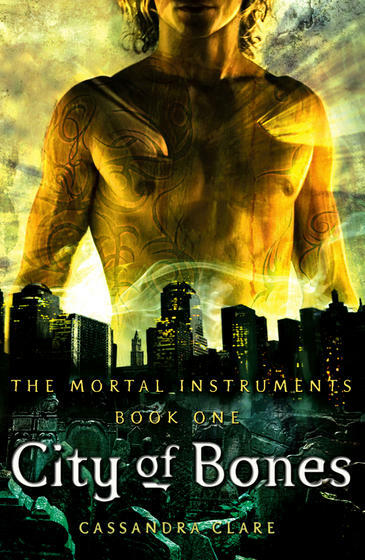 The City of Bones ended up being action packed and intense! I was not expecting this at all. To be honest, I was expecting romance and lots of it for some strange reason. This book has almost every mythical and paranormal creature you can think of. There are vampires, werewolves, fairies, trolls, demons, etc. Seriously, they have about everything. They even have angels, the fallen angels and archangels too. When I say everything, I mean everything. As the first book in the series it is just… okay. There was no mind-blowing thing going on in the book but it also wasn’t a bad read. Personally, I give it a 3.5 out of 5 or a B-. Take your pick. Honestly, I wanted more character development. The whole time I was reading the book I was so entranced with the action that the few moments where valuable information was given, the action/fighting scene overshadowed it. Another thing that really bugged me at first was how the author switched point of views. It was unexpected and at times, random. I feel as if it made the book a bit disorganized. I probably won’t read the rest of the series but at least I gave it a try. Oh and one last thing, DO NOT read this book all in one day from morning to night. It will give you nightmares and will not let you sleep. I was up imagining the horrible monsters described in the book and the whole Jace and Clary thing. Their issues are like none I have ever read before. I almost encourage you to read the book just so you can see what I mean.